Perhaps even more than wanting to photograph pronghorn on our 2011 road trip, I really wanted to have a chance to add some moose to my galleries -- and Grand Teton National Park did not disappoint! Each of our three mornings in the park were spent searching for moose in the sagebrush before they moved into the forest in the early morning. The Gros Ventre River corridor was a hotspot, leading so some very memorable morning encounters. 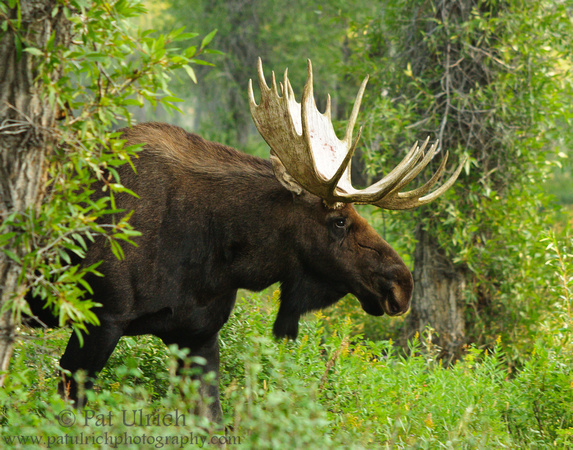 View more of my photographs of moose in Grand Teton National Park. This is an animal I have always wanted to see - and up to this point I have not! I will have to try harder. Great set of picture on the link as well. Thanks, Stewart! They are a remarkable animal and surprisingly larger in person than I had expected. Photographing them was a definite highlight of this trip!